Welcome to Yee Dental Care. 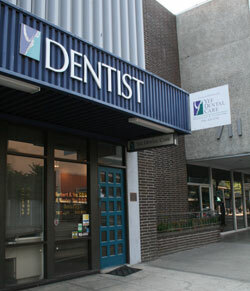 We are conveniently located in the heart of Downtown Sacramento. Whether you need a cleaning, composite fillings, porcelain veneers, dental implants dentures or anything in-between our staff provides a comfortable, clean and professional environment to meet all your dental needs. Mission Statement: To serve our patients who have the desire and commitment for quality care, who will not be bound by insurance limitations and will receive the ultimate customer service from the doctor and team. H. Wesley Yee, D.D.S., F.I.C.D. **AS OF OCTOBER 1ST, 2016, THE PARKING GARAGE ON 7TH STREET (NEXT TO 24 HR. FITNESS) AND 3RD & L STREET WILL NO LONGER ACCEPT VALIDATIONS FROM OUR OFFICE. PLEASE USE THE CITY OF SACRAMENTO PARKING GARAGES LOCATED AT 10TH & I. STREET OR 10TH & L. STREET.